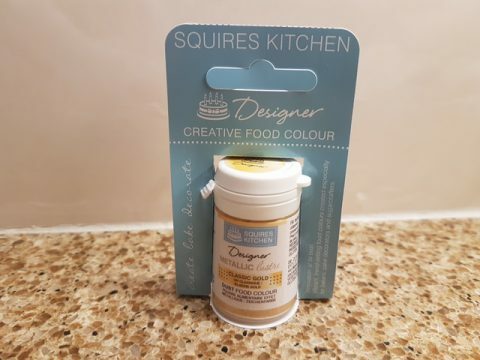 The Squires Kitchen Creative Food Colour product is a gold metallic lustre dust that is used by chocolatiers and cake decorators alike. 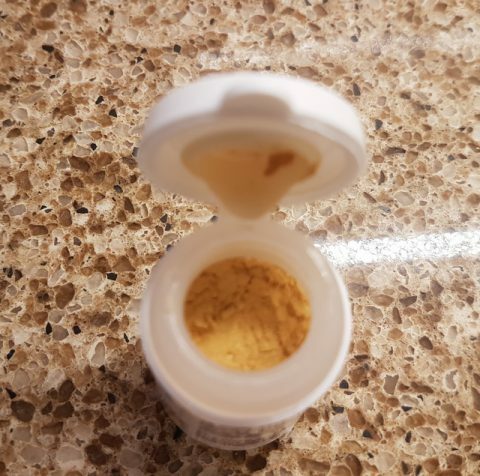 The pot size is approx 5cm tall and is filled with metallic dust or powdered food colouring as it is also known. 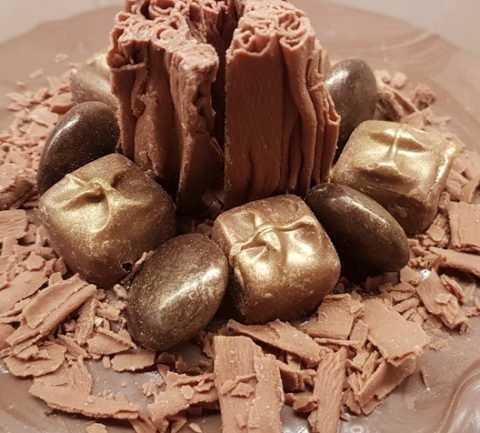 The gold metallic lustre is a rich golden colour and lightly dusted over chocolates made a lovely addition to my cake. 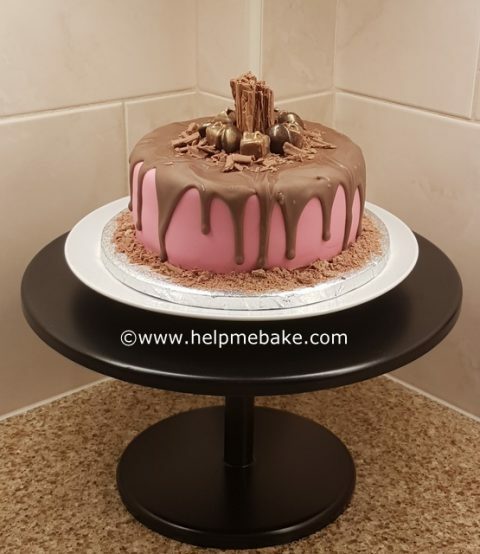 To apply the lustre simply dab a small paintbrush into the pot and then dab the excess onto a piece of kitchen towel, then lightly brush over the chocolate or icing fondant with the paintbrush and this will create a sheen effect. The lustre dust is a versatile product and has many uses, it can be used as normal lustre to create a sheen on your cakes and creations. 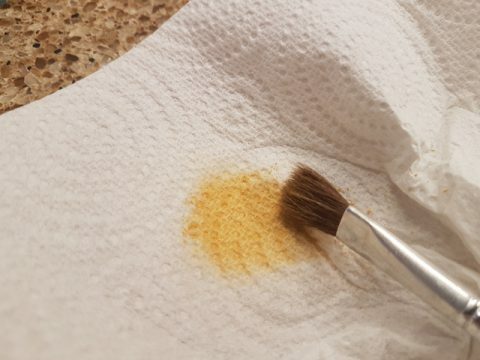 However, mixed with a few drops of alcohol such as vodka or gin it can also be used as a paint. If you wish to create a glossy finish then mix the lustre with a confectioners glaze. It complies with food safety regulations so is safe to use on all food sources. NextNextWhat is the melting method?